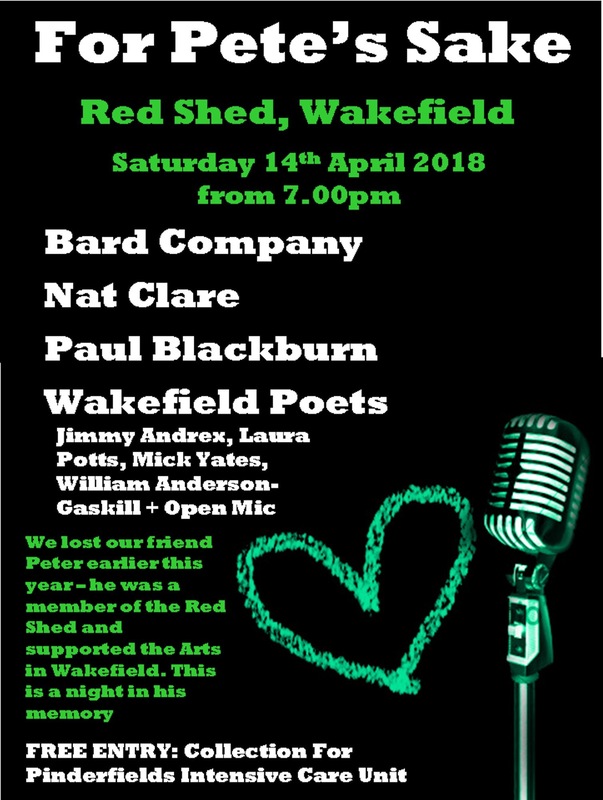 In January, the Wakefield Poetry Community was devastated to lose Pete Bedford from pneumonia and complications following influenza. 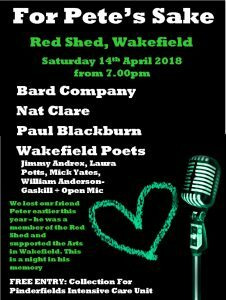 Pete was a quiet influence on the Wakefield Poetry scene, and a fine poet to boot. His lifelong friend Ian Whiteley, organised this gig to raise funds for PInderfields Hospital ICU, who fought so hard to try and save him. A fun time was had by all and it gave me a chance to do musical poems with my new, slightly-larger-than-I-anticipated busking system. The handle’s come off already.